The story of Jean Dufy begins in Paris, a town that’s without the slightest doubt the world’s modern art capital. There are literally just a few styles of the late 19th and early 20th century that can not be somehow connected to the biggest city in France – even those which had their beginnings away from Paris always hoped to one day be displayed on the streets where modern art was shaped. In a time when impressionism was writing the pages of art history, somewhere in a small fishing place in France was born a boy that soon dreamed of the day he could walk down the main avenue of Paris and see his paintings hanging from the windows of the famous Salons. This boy’s name was Jean Dufy. 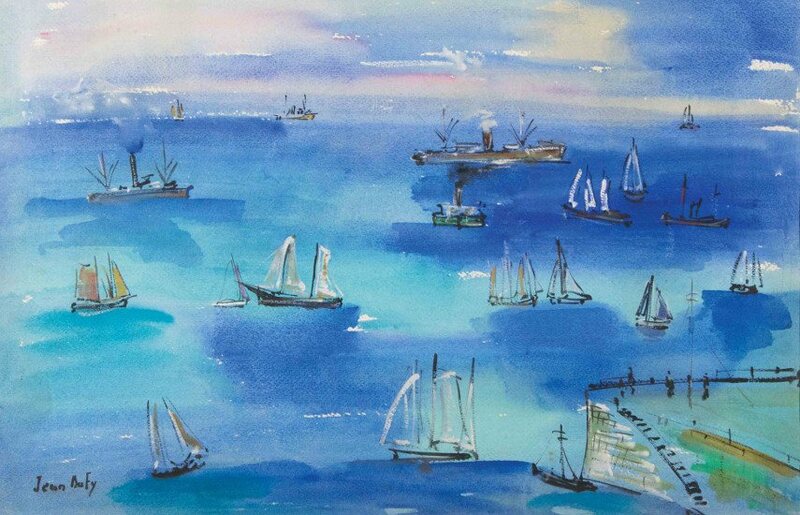 Jean Dufy was born in Le Havre (a seaport in the northwest of France) on March 12, 1888. His family was a large one, so he ended up being the last of total nine children. Although the Dufys were considered a part of the working class, all family members had a great affinity for art – especially music. 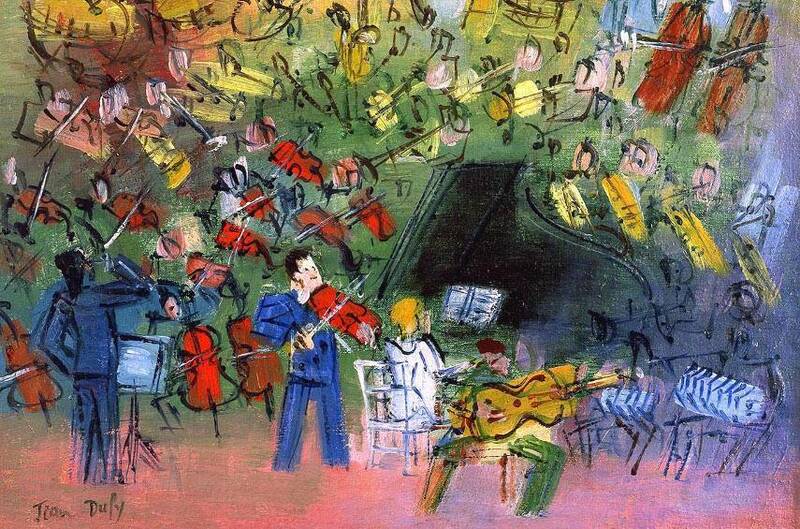 Jean liked music, but ever since his older brother Raoul Dufy got into painting, Jean knew that was the road for him as well. At that point, Raoul became his brother’s mentor, so to speak, while also being an educator because the Dufys couldn’t afford to have any of their children enrolled in costly artistic schools. Instead, Jean received formal education at the École Primaire Supérieure du Havre. He graduated at the age of sixteen and immediately landed a job as a traveling clerk in a French import company, but soon Jean was promoted to a position of secretary on a transatlantic ship La Savole which traveled regularly between his hometown and New York. His business took precedence over Jean’s hopes of becoming a famous painter. After many years of traveling and seeing different places, in 1906 Jean accidently stumbled upon an exhibition in Le Havre’s Cercle de l’Art Moderne and at that moment decided to pursue the long forgotten dream of painting. He received private tutoring wherever he was able to find it and in the year of 1914, Jean’s first watercolor paintings were exhibited at the Galerie Berthe Weill. These early works of his career were lacking in color when compared to the later, classic Dufy. What seemed a beginning of a great career was unfortunately almost instantly put to a halt in only a few weeks when the biggest world conflict so far erupted between the forces of Europe. Jean was drafted and placed in a horse regiment. After courageously serving in the military for full two years, Jean decided to fulfill his intentions of participating in the Parisian art scene. Sadly, his goals were again put on hold because war-torn France had no immediate need of art. While the country’s rebuilding was in full motion, Jean worked with his brother in a textile factory in Lyon. Soon he was offered a job of decorating porcelain in Limoges – Jean spent many years of his life there and was presumably very happy with that employment. He was also very successful at this job and was awarded the Gold Medal at L’exposition Internationale des Arts Décoratifs. In 1920 he finally settled in Paris, in the famous artists quarter of Montmartre, next door to Georges Braque. Braque turned Jean towards experimenting with cubism, noting that the young painter’s work could be massively enhanced with the new style. Jean liked the idea and decided to give some elements of cubism a chance. He also fell in love with the pre-war Fauve movement which deeply influenced him. In Paris, Jean also spent some considerable time with the likes of Picasso, Apollinaire, Rouault and Derain. In 1923 came Dufy’s first big exhibition. In the Salon d’Automne he displayed his artwork – only unlike the exhibition in 1916, this time, Jean had a chance to learn from the greats of Picasso and Braque before painting his pieces and placed them in the gallery. Jean was well received by the Parisian society and was asked to display his paintings again in the years of 1924, 1927, and 1932. His work presented scenes from both the city and the country – he depicted circuses, horse races, stages, Parisian streets, orchestras. 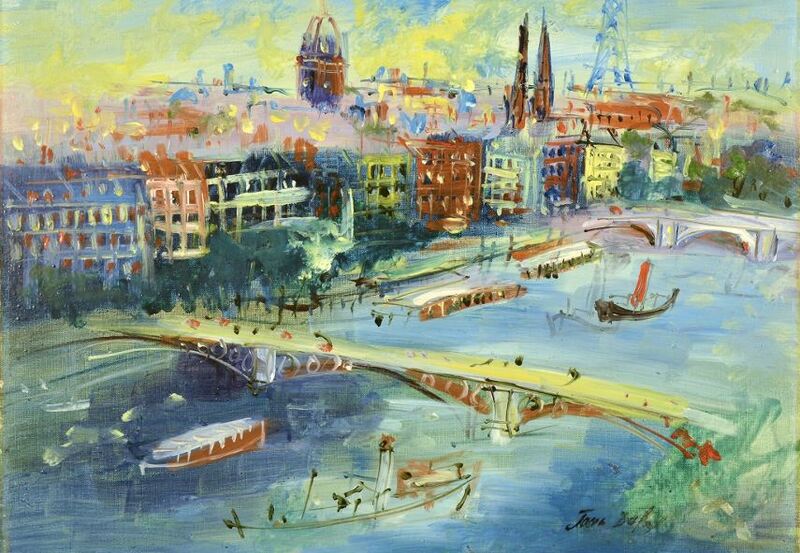 He loved painting the Eiffel Tower, bridges of the Seine and the historical gates of Paris – Jean Dufy fell in love with the city he pursued all his life. This was the time he tackled the toughest opponent of his creative life, light. It became the essential focus of his work and in searching for this light he was able to master his fear of the blank canvas. We can note a large amount of blue present in his work. This is certainly a personal affection, but is’s also a clear nod towards the impressionism he loved as a child. 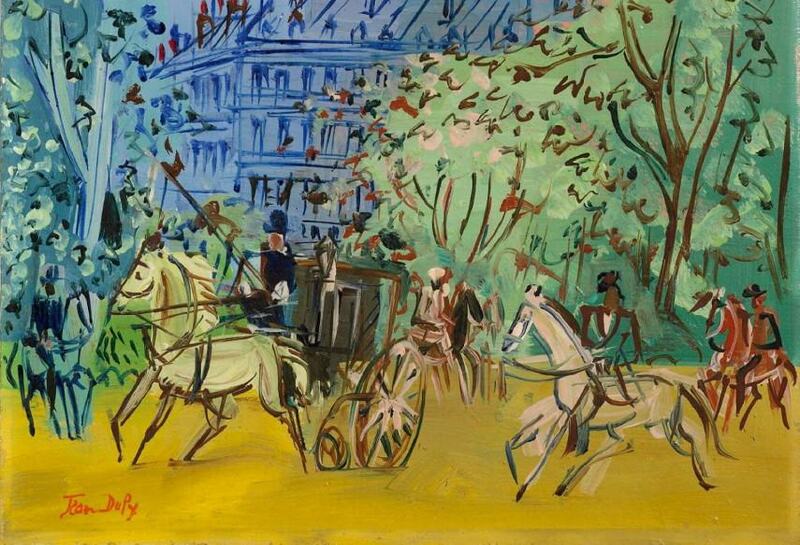 Eventually, Jean Dufy became a name that rang out within and beyond the borders of Paris. There is a theory out there that claims Dufy’s work was extremely influenced by the early jazz movement that came to Paris along the WWI American soldiers. This makes sense when you consider Jean’s musical upbringing and the sheer dynamic of colors in his paintings. In 1937, the life of Jean Dufy took a turn for the worse. He got into a fight with Raoul over authorizing a certain mural and after the French public seemingly took his brother’s side, Jean, insulted, moved to the country to live a quieter life. He lived the next thirty years joyously, traveling around the world with his wife – and of course, painting until the last day of his life. It’s not easy to determine the exact influence Jean Dufy had on the artistic world. While he did not succeed in becoming the founder of a new style – which never was his goal – Jean did combine the aspects of impressionism, cubism and fauvism in a coherent accumulation. That by itself is an astonishing triumph. Today, his work can be found in countless collections of the most prestigious museums of the world – and the often seven digits prices at his auctions are enough of an indicator of his popularity. 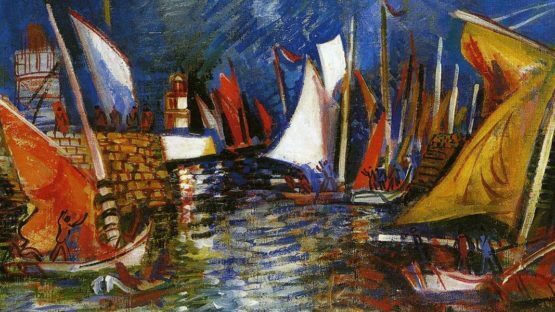 Dufy was a true example of a 20th-century bohemian artist whose life was centered on painting, but he was also a man who never cowered from his obligations to France and stood tall against the forces of Germany and Austria. As a man Jean was impeccable, but as an artist – well, we can safely call him immortal. The artist is represented by Puccio Fine Art in New York, USA.